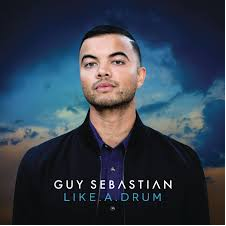 Guy Sebastian’s LIKE A DRUM hit PLATINUM in Australia! Guy Sebastian’s LIKE A DRUM hit PLATINUM in Australia! Looking forward to the US Release. There’s no stopping Guy Sebastian! His latest single ‘Like A Drum’ has just reached PLATINUM!